Made in Italy in 1981, Livio is a Metal Rooster fueled by pizza and pasta. Educated at the European Institute of Design (Milan) Livio truly fell in love with advertising while working in the most vibrant Italian independent agency. 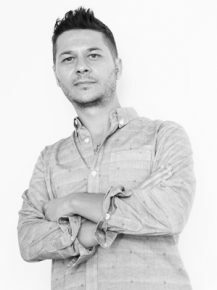 In 2012 Livio brought his European style and creative flair to Asia, developing communication campaigns for iconic brands like The Coca-Cola Company, Google, Uber, Piaggio, Budweiser and many other local clients. Despite his terrible handwriting (or maybe because of it) he is madly passionate about typography, calligraphy and hand lettering. HCMC is the place he calls Home, and surprisingly he would choose a cafe sua da over a cappuccino any day now.